This article is about the Disney Channel series. For its title character, see Miley Stewart. For other uses, see Hannah Montana (disambiguation). Hannah Montana, also known as Hannah Montana Forever in its fourth and final season, is an American musical comedy television series created by Michael Poryes, Rich Correll, and Barry O'Brien. It focuses on Miley Stewart (portrayed by Miley Cyrus), who is a teenager living a double life as an average schoolgirl by day and as the famous recording artist Hannah Montana by night, which she keeps secret and only a few people know of her alter ego. The story follows the daily life of Stewart, her brother Jackson, her best friends Lily and Oliver, and her father Robby (Cyrus's real-life country singer father, Billy Ray Cyrus). The series, produced by It's a Laugh Productions and Michael Poryes Productions, premiered on Disney Channel on March 24, 2006, garnering 5.4 million views, giving the Disney Channel the highest ratings in its history and concluded on January 16, 2011 after having aired four seasons and ninety-eight episodes. The soundtrack albums Hannah Montana (2006), Hannah Montana 2: Meet Miley Cyrus (2007), Hannah Montana 3 (2009), and Hannah Montana Forever (2010) were released to coincide with their respective seasons. In 2007, the success of the series led to the Best of Both Worlds Tour, which visited North America. The following year, it was adapted into the 3D film Hannah Montana & Miley Cyrus: Best of Both Worlds Concert and its accompanying soundtrack. In 2009, the first feature film of the series, titled Hannah Montana: The Movie was released to commercial success, and was additionally promoted through its accompanying soundtrack. All seasons of the show have been distributed on DVD. The series received generally favorable reviews from critics and was praised by audiences. It has been recognized as a "guilty pleasure" by several media outlets. The show's instant success is widely credited with the launch of Cyrus's career and her establishment as a teen idol. However, as she continued to develop an increasingly provocative image as the series progressed, the series has received criticism for appearing to be a negative influence on its younger audience. Emily Osment (left) and Mitchel Musso (right) portrayed Stewart's best friends, Lilly Truscott and Oliver Oken, throughout the series. Miley Stewart lives a double life as an average schoolgirl by day and an international teen idol Hannah Montana by night. Her father Robby Stewart is a successful country music singer under the stage name Robbie Ray, and raises Miley and her brother Jackson Stewart as a single father in Malibu, California after their mother Susan died. Miley's best friend Lilly Truscott discovered her secret while attending a Hannah Montana concert. Later in the first season, Miley herself revealed her secret to their close friend Oliver Oken with the intention of ending his romantic interest in Hannah Montana. Lilly and Oliver assumed the aliases Lola Luftnagle and Mike Standley III when appearing with Hannah in order to protect her secret. Meanwhile, Jackson is employed at Rico's Surf Shop, where his child-aged boss Rico Suave often assigns him to complete embarrassing tasks. Miley, Lilly, and Oliver begin high school in the second season. Rico, who begins high school after skipping several grades, nearly discovers Miley's secret on several occasions. Later in the season, Miley admits to Jake Ryan, whom she initially disliked and later dated in the second season, that she is Hannah Montana. However, their briefly rekindled relationship ends after he struggles to adopt a normal, non-celebrity lifestyle, which Miley is concerned she will lose as a result of dating the actor. While Miley is off shooting a movie (a parody of Indiana Jones), Lilly and Oliver begin dating in the third season. Though Miley initially feels uncomfortable with the changed dynamic of their friendship, she often helps the pair reconcile after arguing with one another. Miley herself begins dating Jake again, but develops feelings for her bandmate Jesse. Jackson moves into his own apartment while attending college, while Lilly moves in with the Stewart family after her mother finds work in Atlanta, Georgia. In the two-part season finale, Robby buys a ranch in Malibu to bring Miley's horse Blue Jeans from Tennessee, while Jackson leaves his apartment and returns home. Oliver also embarks on a tour with the band that lived above Jackson's former apartment. In the fourth season, the Stewart family moves into their new ranch, and Miley finds out that Jake was cheating on her, from Oliver who has a photo of Jake nibbling another girl's ear. She breaks up with him and soon starts to date Jesse. He admits that he discovered her secret by paying attention to her actions, and it begins to inconvenience her friends and family. After much deliberation, Miley reveals to Jay Leno's television audience that she is Hannah Montana. Afterwards, Miley and Lilly graduate high school, with arrangements to attend college. In the series finale, Miley and Lilly prepare to go to college, yet another movie offer comes up. Miley tries to make Lilly reject her, only to fail multiple times. She convinces Lilly to come with her to Paris (where the movie is shooting), however at the airport, Lilly decides not to go, but to return to college (this is due to Oliver convincing Lilly that Miley will get another movie role next year). Miley continues to Paris, only to come back, joining Lilly in Stanford. Jesse and Oliver guest star in that episode and a Montage of pictures play at the end of the episode. ^ A 30th episode, titled "No Sugar, Sugar", was produced, but never aired in the United States. The first season of Hannah Montana commenced airing on March 24, 2006 and concluded on March 30, 2007 after broadcasting 26 episodes. An additional episode, titled "That's So Suite Life of Hannah Montana", served as a crossover episode with That's So Raven and The Suite Life of Zack & Cody, and was broadcast on July 28, 2006. The second season had 29 episodes, and aired from April 23, 2007 until October 12, 2008. An additional episode, titled "No Sugar, Sugar", was filmed but was not broadcast in the United States after parental complaints alleged that the episode provided inaccurate information regarding diabetes. The third season of Hannah Montana premiered on November 2, 2008 and concluded on March 14, 2010 after broadcasting 30 episodes. Its twentieth episode aired on July 17, 2009 and served as the third and final installment of the "Wizards on Deck with Hannah Montana" crossover episode; the first was considered an episode of the second season of Wizards of Waverly Place, while the second was produced as an installment of the first season of The Suite Life on Deck. Furthermore, the season was interrupted with the premiere of Hannah Montana: The Movie, which was released on April 10, 2009. The fourth and final season of Hannah Montana was renamed Hannah Montana Forever, and premiered on July 11, 2010. After broadcasting 13 episodes that season, and 98 episodes across all four, the series finale aired on January 16, 2011. Miley Cyrus (pictured) served as the series' central focus during its four-season run. Throughout its run, the series was led by five (seasons 1 and 4) and six (seasons 2–3) primary characters. Its original main characters are Miley Stewart (portrayed by Miley Cyrus), Lilly Truscott (Emily Osment), Oliver Oken (Mitchel Musso), Jackson Stewart (Jason Earles), and Robby Stewart (Billy Ray Cyrus). In the second season, Rico Suave (Moisés Arias), who originally appeared in a supporting capacity during the first season, was integrated into the primary cast. 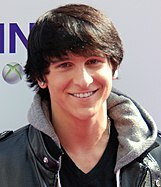 During the fourth and final season, Oken became a supporting character due to Musso's involvement on the television series Pair of Kings, which aired on the sister station Disney XD. The aforementioned character's storylines were largely developed by supporting cast members. Susan Stewart (Brooke Shields) is shown as Miley and Jackson's deceased mother in flashback scenes, while Aunt Dolly (Dolly Parton) is portrayed as Miley's godmother (Parton is Cyrus's real-life godmother). Jake Ryan (Cody Linley) was depicted as an actor for the popular television series Zombie High. He briefly attended Seaview Middle School with Stewart, Truscott, and Oken, and engaged in an on-again/off-again relationship with Stewart in several points during Hannah Montana. Roxy Roker (Frances Callier) was close friends with the Stewart family, and additionally served as their bodyguard during public appearances. Amber Addison (Shanica Knowles) and Ashley Dewitt (Anna Maria Perez de Tagle) are shown as stereotypical school divas, and are notably the rivals of Stewart and Truscott. Jesse (Drew Roy) is introduced as one of Miley's later love interests. Michael Poryes, who is credited as co-creator, also co-created the hit Disney Channel Original Series That's So Raven. The show is produced by It's a Laugh Productions, Inc. and Michael Poryes Productions, in association with Disney Channel Original Productions. It is filmed at Sunset Bronson Studios in Hollywood, California. The original idea for this show was based on the That's So Raven episode "Goin' Hollywood", which served as the backdoor pilot for a sitcom tentatively called Better Days to star Alyson Stoner, in which a child star of a popular TV show of the same name was to try her hand at going to a normal school. The episode "New Kid in School" has the basic premise as that aforementioned episode. As the show's concept was further developed, among those considered for the lead role of 'Chloe Stewart' were former American Juniors finalist Jordan McCoy, future Gossip Girl actress Taylor Momsen and pop and R&B singer JoJo (who rejected the role). Miley Cyrus originally auditioned for the role of the "best friend" Lilly Truscott, but they thought she would be better for the main character, so she tried out for Chloe Stewart/Hannah Montana. Chloe Stewart was later changed to Miley Stewart when Cyrus got the part. The names of Hannah Montana were changed a few times. One of the previous names was Alexis Texas. In December 2006, Disney announced plans to release Hannah Montana products, including clothing, jewelry, apparel, and dolls, at selected stores. Play Along Toys released the Hannah Montana fashion dolls, singing dolls, Miley Stewart doll, and other merchandise in August 2007. More Hannah dolls were released in November, along with Oliver, Lilly, and later Jake Ryan dolls. They became one of the most popular Christmas toys in 2007. According to the Daily Dispatch, the TV series held a global audience of 200 million viewers in 2008. "If Miley’s viewers were a country, they would be the fifth largest population in the world – just ahead of Brazil." By February 2008, the Hannah Montana franchise had become so important that Disney convened an "80-person, all-platform international meeting to discuss Hannah Montana's future". All Disney business segments were represented at the meeting. The theme song for Hannah Montana is "The Best of Both Worlds" written by Matthew Gerrard and Robbie Nevil, produced by Gerrard and performed by Miley Cyrus (as Hannah Montana). John Carta, who also composed the music cues to signify scene changes and commercial breaks for the first season, composed the music for the song. The song's lyrics describe the basic premise of the television series. The full-length version of the song, which is 2 minutes, 54 seconds in length, was included on the show's soundtrack, released in October 2006. For the TV version of the theme, which lasts only 50 seconds, only the first two stanzas and the last two were used. "Just Like You" and "The Other Side of Me" were originally tested for the opening theme song, before "Best of Both Worlds" was chosen as the theme. The opening sequence for the first two seasons features episode clips of each cast member when their name appears. Each cast member's name is "wiped" on the screen in a marquee-light-style. The sequence then switches to full-screen episode clips (most of the clips used in the Season One version of the sequence were of the early produced episodes) with the creator's names appearing in the second-to-last clip. The show's title logo design appears at the beginning and end of the sequence (the latter portion on the "concert stage" features Cyrus as her character Hannah Montana). The only change to the sequence for season two were the replacement of episode clips and the addition of the Disney logo above the show's title logo (this particular change was also implemented for later reruns of the first season). For season three, a new version of the opening credits was used. It features Miley as herself and Hannah Montana in a Times Square-like setting. The names of the actors and actresses and clips from the show appear in a sort-of marquee board and it features Hannah Montana with her new wig and clothes style. The song playing is a remixed version of "The Best of Both Worlds", that was originally recorded for (and heard in) Hannah Montana: The Movie. This marked the first time that a Disney Channel series has completely revamped its opening title sequence. The sequence was reformatted for high definition and slightly altered for season four, with the credit typing changed, the addition of the "Forever" wording in the main title logo, the removal of Mitchel Musso from the credit sequence and the inclusion of clips from season four episodes. The series premiere of Hannah Montana garnered 5.4 million views, giving the Disney Channel the highest ratings in its history. The series' most-viewed episode, "Me and Mr. Jonas and Mr. Jonas and Mr. Jonas" aired on August 17, 2007, to an audience of 10.7 million. In doing so, it also became the most-viewed episode on basic cable. As Cyrus continued to develop an increasingly provocative image as Hannah Montana progressed, the series has received criticism for appearing to be a negative influence on its younger audience. In 2010 and 2011, she was recognized as the worst celebrity influence by JSYK, an AOL-owned service, presumably considering a series of sexually-inappropriate pictures and leaked footage of Cyrus smoking Salvia divinorum. In contrast, Cyrus's friend Kelly Osbourne described that such reports "could not be farther from the truth", adding that "she has learned her lesson" after her Salvia divinorum incident. In 2012, Joe Paul Wilson from the Culture and Media Institute criticized her for "[becoming] the epitome of the anti-role model for young girls" after establishing a following through her "wholesome" persona as Hannah Montana. Writing for the New York Post, Naomi Schaefer Riley noted that Cyrus "duped" the series' audience after assuming an increasingly provocative public image, posing as an "inherent danger" for younger children. After a controversial performance at the 2013 MTV Video Music Awards, Melissa Henson of the Parents Television Council felt that parents would no longer feel comfortable allowing their children to watch Hannah Montana "knowing what Miley's current stage persona is", and further suggested that Disney would be forced to discontinue the franchise in light of the criticism. Cyrus herself had previously stated her displeasure in not being able to "erase that stuff [Hannah Montana] and start over", and acknowledged her attempts to "start as a new artist" with her fourth studio album and first record unaffiliated with Disney, Bangerz (2013). Buddy Sheffield alleged that he pitched the concept for a television series titled Rock and Roland to the Disney Channel in 2001. The program would have focused on a junior high school student who led a secret double life as a rock star, though the network passed on the proposal. However, after Hannah Montana became a successful franchise, Sheffield filed a lawsuit against the Disney Channel in August 2007, commenting that he was owed "millions of dollars" in damages. In April 2010, series co-creators Rich Correll and Barry O'Brien filed a lawsuit against the Disney Channel for $5 million over profits from the program. They claimed that they were denied their share of profits and pre-negotiated percentage-based bonuses based on their backend deals and Writers Guild of America, West requirements for writers who receive "created by" credits. Correll, who also directed a number of episodes, further alleged that he was unfairly terminated and blackballed by Disney after testifying in connection with a WGA arbitration. A third producer, Michael Poryes, has previously filed a similar lawsuit in October 2008. The series is broadcast worldwide on Disney Channel. It premiered on May 6, 2006 in Ireland and it also airs on TRTÉ. In the United Kingdom it premiered on the same date and also airs on Channel 5. In Australia it premiered on August 7, 2006 and on Seven Network on April 7, 2007. It premiered on the same date in New Zealand and airs also on FOUR. It first aired on Family in Canada on August 4, 2006. It premiered in Hong Kong, the Philippines, Malaysia, India, Bangladesh, and Singapore on September 23, 2006. It premiered on the same date in Pakistan and also airs on GEO Kids from November 2008 and on WikKid Plus starting January 12, 2009. In South Africa it first aired on September 29, 2006. It premiered in Trinidad and Tobago in November 2008 on CNC3 Television. Hannah Montana & Miley Cyrus: Best of Both Worlds Concert is a concert film from Walt Disney Pictures presented in Disney Digital 3-D. The limited release was intended to be for one week, February 1–7, 2008 in the US and Canada with release in other countries later on, but was extended for viewing as long as theaters wanted. Disney announced the concert was filmed in several cities to be theatrically released in the US in February and internationally that month. The film uses 3-D glasses. The opening weekend, February 1–3, 2008, the movie had gross revenue of $31.1 million. It was the number one movie of the weekend. Opening in only 638 theaters, it set a record of over $42,000 per theater. It set a record for the highest revenue for a 3-D movie for one weekend. Hannah Montana: The Movie is the musical film adaptation of the American teen sitcom Hannah Montana. Filming began in April 2008, much of it occurring in Columbia, Tennessee, and Los Angeles, California, and was completed in July 2008. The film was released on April 10, 2009 in the United States and Canada. ^ "2006–2007 Golden Icon Awards". Archived from the original on January 14, 2016. Retrieved February 8, 2013. "Golden Icon Awards Announced by Travolta Family Entertainment". Archived from the original on July 28, 2013. Retrieved February 8, 2013. The neutrality of these sources is disputed. ^ a b "Hannah Montana Episode Guide 2006 Season 1 - Lilly, Do You Want to Know a Secret?, Episode 1". TV Guide Network. March 24, 2006. Archived from the original on October 19, 2013. Retrieved September 18, 2013. ^ "Hannah Montana Forever Finale". MileyCyrus.com. January 10, 2011. Archived from the original on January 14, 2011. Retrieved January 12, 2011. ^ a b c d e f "Hannah Montana - All Seasons - TV.com". TV.com. CBS Interactive. Archived from the original on September 5, 2013. Retrieved September 8, 2013. ^ Castina (November 5, 2008). ""Hannah Montana" Diabetes Episode Pulled ("No Sugar, Sugar")". PopCrush. Archived from the original on October 29, 2013. Retrieved September 8, 2013. ^ "Wizards of Waverly Place - Season 2 - TV.com". TV.com. CBS Interactive. Archived from the original on September 5, 2013. Retrieved September 8, 2013. ^ "The Suite Life on Deck - Season 1 - TV.com". TV.com. CBS Interactive. Archived from the original on October 7, 2013. Retrieved September 8, 2013. ^ "Hannah Montana: The Movie - MovieTickets.com". MovieTickets.com. AMC Theaters. Hollywood.com. April 10, 2009. Archived from the original on December 2, 2013. Retrieved September 8, 2013. ^ "iTunes - TV Shows - Hannah Montana, Vol. 7". iTunes Store (US). Apple Inc. June 4, 2012. Archived from the original on February 24, 2014. Retrieved September 8, 2013. ^ Sarah Peel (July 14, 2010). "Mitchel Musso To Appear On Hannah Montana Forever". BSC Kids. Archived from the original on July 19, 2010. Retrieved September 5, 2013. ^ "JoJo Feature Story". Santa Monica Report. Archived from the original on September 30, 2007. Retrieved February 7, 2007. ^ ""Hannah Montana" Livin' the rock star life! DVD Review". October 20, 2006. Archived from the original on November 9, 2006. Retrieved October 23, 2006. ^ Cyrus, Miley; Hilary Liftin (2008). "Chloe Stewart". Miles To Go. Bath, UK: Parragon. p. 59. ISBN 978-1-4075-6261-2. My character's name was Chloe Stewart. Her alter ego's name was Hannah Montana. It was just way too many names. So they dropped the one that was easiest to let go. My character's name changed to Miley Stewart. ^ Summers, Kimberly (2009). "Hannah Montana". Miley Cyrus: A Biography. Santa Barbara, California: ABC-CLIO. p. 16. ISBN 978-0-313-37848-5. The writers originally wrote the show to be about a young girl named Chloe, Zoey, or Alexis, and it was initially penned as Alexis Texas. ^ Disney Launches Hannah Montana Products Archived September 28, 2007, at the Wayback Machine'.' Retrieved December 26, 2006. ^ "Teen queen is global brand by Stephen Armstrong 2009/05/21 (accessed June 24, 2009)". Archived from the original on May 28, 2010. Retrieved June 24, 2009. ^ Karl Taro Greenfeld (April 14, 2008). "How Mickey Got His Groove Back". Condé Nast Portfolio. Archived from the original on June 8, 2008. ^ Ann Oldenburg (January 14, 2007). "Miley Cyrus fulfills her destiny". USA Today. Gannett Company. Archived from the original on October 11, 2012. Retrieved September 21, 2013. ^ a b Nellie Andreeva (August 19, 2007). "'High School' upstages TV records". The Hollywood Reporter. AOL. Archived from the original on October 18, 2007. Retrieved September 21, 2013. ^ "That's So Suite Life of Hannah Montana - Zap2it Forums: Talk About TV, Movies and More". Tvbb.zap2it.com. Archived from the original on July 18, 2011. Retrieved August 6, 2010. ^ ""Wizards on Deck with Hannah Montana" Is Cable's Most-Watched Scripted Telecast This Year In Total Viewers". Archived from the original on November 9, 2013. Retrieved July 2, 2013. ^ Gorman, Bill (November 8, 2010). ""Shake it Up" Averages 6.2 Million Viewers; Disney Channel's #2 Highest Rated Series Premiere Of All Time". Archived from the original on February 12, 2011. Retrieved November 9, 2010. ^ "Miley Cyrus Two-Time Worst Influence Award Winner". Daily Fill. January 27, 2011. Archived from the original on November 24, 2013. Retrieved September 5, 2013. ^ "Kelly Osbourne Angrily Defends Pal Miley Cyrus". Us Weekly. Northern & Shell. December 22, 2010. Archived from the original on December 2, 2013. Retrieved September 5, 2013. ^ Joe Paul Wilson (January 26, 2012). "Hollywood Promoting Women Behaving Badly". Culture and Media Institute. Archived from the original on December 2, 2013. Retrieved September 5, 2013. ^ Naomi Schaefer Riley (June 30, 2013). "Why parents are terrified of Miley". New York Post. News Corp. Archived from the original on September 18, 2013. Retrieved September 5, 2013. ^ Hollie McKay (August 27, 2013). "Did Miley Cyrus' VMAs performance hurt the Disney brand?". Fox News. 21st Century Fox. Archived from the original on September 4, 2013. Retrieved September 5, 2013. ^ Jason Chester (June 14, 2013). "'I Want To Erase My Past': Miley Cyrus Admits She's 'Embarrassed' By Hannah Montana". Entertainmentwise. Gigwise. Archived from the original on December 26, 2014. Retrieved October 6, 2013. ^ Joel Ryan (August 24, 2007). "A Roundhouse Blow to Hannah Montana". E! Online. NBCUniversal. Archived from the original on August 27, 2007. Retrieved September 8, 2013. ^ "'Hannah Montana' Creators Sue Disney For Profits". The Hollywood Reporter. Prometheus Global Media. April 9, 2010. Archived from the original on April 13, 2010. Retrieved September 8, 2013. ^ Anna Dimond (February 5, 2008). "Miley Cyrus and Disney to make Hannah Montana movie – Today's News: Our Take". TV Guide.com. Archived from the original on February 8, 2008. Retrieved February 5, 2008. ^ "Filming For Hannah Montana Movie Starts In Columbia". News Channel 5. May 19, 2008. Archived from the original on January 14, 2009. Retrieved May 26, 2008. ^ "Production On 'Hannah Montana: The Movie' Is Underway". News4Jax. May 24, 2008. Archived from the original on May 28, 2008. Retrieved May 24, 2008. ^ "NewsChannel 5.com – Nashville, Tennessee – 'Hannah Montana' Film Scenes Shot In Cool Springs Mall". NewsChannel 5. May 28, 2008. Archived from the original on May 29, 2008. Retrieved May 28, 2008. ^ "Hannah Montana Film Scenes Shot In Cool Springs Mall". News Channel 5. May 28, 2008. Archived from the original on May 29, 2008. Retrieved May 28, 2008. ^ "Miley Mania – TFK Kid Reporter Yunhee Hyun talks with Miley Cyrus about her new CD, Breakout". Time for Kids. Archived from the original on October 5, 2008. Retrieved July 29, 2008. ^ McClintock, Pamela (February 24, 2008). "Disney unveils 2009 schedule – Entertainment News, Film News, Media – Variety". Variety. Archived from the original on February 26, 2008. Retrieved February 24, 2008. ^ "Teen Choice Awards 2006". Archived from the original on May 26, 2013. Retrieved February 8, 2013. ^ "Casting Society of America 2006 – Winners". Archived from the original on November 27, 2016. Retrieved June 30, 2018. ^ a b "Teen Choice Awards 2007". Archived from the original on April 15, 2013. Retrieved February 8, 2013. ^ a b c d "28th Annual Young Artist Awards – Nominations / Special Awards". Archived from the original on May 31, 2014. Retrieved February 8, 2013. ^ "2007 KCA Winners". Archived from the original on October 19, 2013. Retrieved February 8, 2013. ^ a b "In full: Nickelodeon Kids' Choice Awards UK winners". Archived from the original on May 28, 2013. Retrieved February 8, 2013. ^ "Outstanding Children's Program 2007". ^ "Casting Society of America 2007 – Winners". Archived from the original on November 27, 2016. Retrieved June 30, 2018. ^ a b "2008 Teen Choice Awards winners and nominees". Los Angeles Times. Archived from the original on September 12, 2008. Retrieved February 8, 2013. ^ a b c d "29th Annual Young Artist Awards – Nominations / Special Awards". Archived from the original on July 6, 2008. Retrieved February 8, 2013. ^ "2008 Host & Nominees Release". Archived from the original on April 27, 2012. Retrieved February 8, 2013. ^ a b "Nickelodeon Kids' Choice Awards – 2008 Winners List – Pictures and Video". Archived from the original on July 6, 2014. ^ "2008 UK Nickelodeon Kids' Choice Awards – Nominees". Archived from the original on May 22, 2013. Retrieved February 8, 2013. ^ a b "2008 UK Nickelodeon Kids' Choice Awards – Winners". Archived from the original on August 9, 2011. Retrieved February 8, 2013. ^ "WWE® SUPERSTAR JOHN CENA® TO CO-HOST AT NICKELODEON KIDS' CHOICE AWARDS 2008". Archived from the original on March 13, 2014. ^ a b "Nickelodeon Kids' Choice Awards Australia 2008 Winners". Archived from the original on January 2, 2014. ^ "HBO LEADS TCA AWARDS WITH 10 NOMINATIONS". Television Critics Association. Archived from the original on October 4, 2013. ^ "Past winners of the TCA Awards". Television Critics Association. Archived from the original on March 10, 2012. ^ "2008 Gracie Awards Winners". Archived from the original on February 26, 2012. ^ "Children's in 2008". Bafta Children's Awards. Archived from the original on August 4, 2012. ^ "Outstanding Children's Program 2008". ^ "Casting Society of America 2008 – Winners". Archived from the original on November 27, 2016. Retrieved June 30, 2018. ^ a b c d "Announcing the Winners of the 2009 Teen Choice Awards!". Archived from the original on October 12, 2013. Retrieved February 8, 2013. ^ a b c "2009 Nominees – Young Artists Awards". Archived from the original on July 19, 2011. Retrieved February 8, 2013. ^ a b "2009 Nickelodeon Kids' Choice Awards – Nominees". Archived from the original on February 25, 2012. Retrieved February 8, 2013. ^ a b "2009 Nickelodeon Kids' Choice Awards – Winners". Archived from the original on November 5, 2015. Retrieved February 8, 2013. ^ "Delta Announced As Host Of 2009 Nickelodeon Kids' Choice Awards!". Archived from the original on November 18, 2009. ^ "Meus Prêmios Nick 2009". Archived from the original on May 26, 2013. Retrieved February 8, 2013. ^ "Conheça os vencedores do Meus Prêmios Nick 2009". Archived from the original on February 21, 2014. ^ "2009 Gracie Awards Winners". Archived from the original on March 3, 2013. ^ "Children's in 2009". Bafta Children's Awards. Archived from the original on August 19, 2014. Retrieved February 8, 2013. ^ "Outstanding Children's Program 2009". ^ "Casting Society of America 2009 – Winners". Archived from the original on November 27, 2016. Retrieved June 30, 2018. ^ a b "31st Annual Young Artist Awards – Nominations / Special Awards". Archived from the original on October 12, 2013. Retrieved February 8, 2013. ^ "2010 Nickelodeon Kids' Choice Awards – Nominees". Archived from the original on July 29, 2012. Retrieved February 8, 2013. ^ "2010 Nickelodeon Kids' Choice Awards – Winners". Archived from the original on June 26, 2013. Retrieved February 8, 2013. ^ "Nominados a los Kids Choice Awards México 2010". Archived from the original on November 19, 2012. Retrieved February 8, 2013. ^ "Kids Choice Awards México 2010 – Winners". Archived from the original on May 14, 2013. Retrieved February 8, 2013. ^ "Outstanding Children's Program 2010". ^ "Casting Society of America 2010 – Winners". Archived from the original on November 27, 2016. Retrieved June 30, 2018. ^ a b "32nd Annual Young Artist Awards – Nominations / Special Awards". Archived from the original on August 8, 2013. Retrieved February 8, 2013. ^ "2011 Nickelodeon Kids' Choice Awards – Nominees". Archived from the original on February 3, 2016. Retrieved February 8, 2013. ^ "2011 Nickelodeon Kids' Choice Awards – Winners". Digital Spy. Archived from the original on May 26, 2013. Retrieved February 8, 2013. ^ "Kids Choice Awards México 2011 – Nominees". Archived from the original on March 14, 2013. Retrieved February 8, 2013. ^ "Kids Choice Awards México 2011 – Winners". Archived from the original on March 14, 2013. Retrieved February 8, 2013. ^ "Nominados a los Teen Choice Awards 2011". Archived from the original on December 19, 2012. Retrieved February 8, 2013. ^ "Teen Choice Awards 2011 winners". Los Angeles Times. August 7, 2011. Archived from the original on January 14, 2016. Retrieved February 8, 2013. ^ "Casting Society of America 2011 – Winners". Archived from the original on November 27, 2016. Retrieved June 30, 2018. "The Best of Both Worlds"
"If We Were a Movie"
"Life's What You Make It"
"You'll Always Find Your Way Back Home"
"Ice Cream Freeze (Let's Chill)"
"He Could Be the One"
This page was last edited on 22 March 2019, at 16:41 (UTC).